Known as Berenice's Hair in Latin, COMA BERENICES is small constellation with many amazing cosmic wonders. Coma Berenices is east of Boötes, south of Canes Venatici, west of Leo, and north of Virgo. If you know the location of Arcturus, a bright star in the southern portion of Boötes, you will find Coma Berenices to the east, northeast, southeast, and sometimes north depending on how the constellations 'move' across the sky due to Earth's rotation. 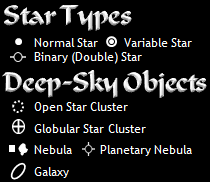 Celestial objects within the boundaries of Coma Berenices include many galaxies in the south (near Virgo), globular star clusters, and open star clusters; some of them are listed below. Coma Berenices' brightest star, which is relatively faint, is Beta (β) Comae Berenices with an apparent magnitude of 4.3.